This opinion editorial by Ms Teresa Lo, programme leader for the ASEAN Food and Beverage Alliance (AFBA), and Ms YiFan Jiang, Head of Science & Regulatory Affairs at Food Industry Asia (FIA), was published in the April 2018 edition of Foodbiz Asia. How will harmonising food standards benefit the ASEAN Food & Beverages (F&B) industry? We explain why it is important for ASEAN countries to create proper procedures for implementing and enforcing harmonised food guidelines or standards. When the Association of South-east Asian Nations (ASEAN) marked its 50th anniversary last year, its role in promoting stability and economic progress for the region’s 630 million people was widely celebrated. There is good reason to acknowledge ASEAN’s achievements. The creation of a single regional entity has elicited cohesiveness among 10 countries with unique political, social and cultural landscapes. With economic progression as a shared aspiration, ASEAN has facilitated significant milestones over the past decade, such as free trade agreements and the establishment of the ASEAN Economic Community (AEC). As the region looks forward to improved trade facilitation, regulations and standards in countries must keep up with change to ensure they remain relevant. Members of ASEAN’s food industry have been working closely together to identify and address trade-related issues that may impact businesses. Trade barriers often manifest in the form of regulatory hurdles, and we see many food companies facing fragmented regulatory frameworks in ASEAN member states. Non-tariff measures serve to ensure food safety; protect health of humans, animals and plants; fight pests and diseases; and protect the environment. A particular concern for the industry is when non-tariff measures become non-tariff barriers, such as trade permits, export permits, export taxes, import licences and bans which hinder cross-border trade. Due to constrained resources, this usually impacts the aspirations and work of small and medium-sized enterprises the most. FIA and AFBA believe that Good Regulatory Practice (GRP) is key to harmonising regulations and minimising the occurrence of non-tariff barriers. The GRP framework is underpinned by transparent and accessible regulations, information exchange, stakeholder consultation and alignment with international standards and best practices. By adopting GRP, regional harmonisation or mutual recognition can follow as a natural extension. To fully realise the benefits, it is imperative that ASEAN creates proper procedures for implementing and enforcing harmonised guidelines or standards. 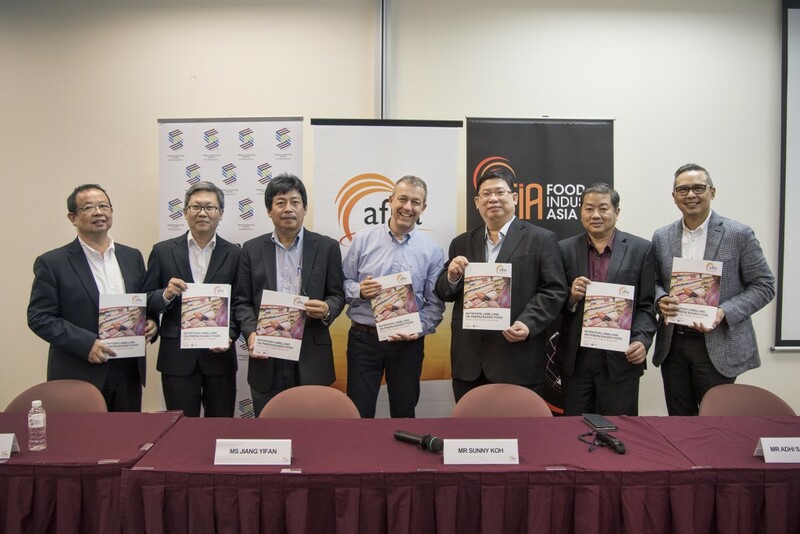 Caption: ASEAN Food and Beverage Alliance (AFBA) board members supported the launch of the “Nutrition Labelling on Prepackaged Food: Trade Impact in ASEAN” report in Singapore on 28 February 2018. Earlier this year, AFBA, with the support of FIA, launched a report on the trade impact of non-harmonised nutrition labelling in ASEAN. The report focused on the technical trade barriers in ASEAN for the pre-packaged F&B sector brought on by the non-harmonised nutrition labelling regulatory framework across countries. The report presented Codex guidelines as an international framework for nutrition labelling, as part of its recommendations to harmonise standards. To allow harmonisation to occur across the entire region, we must help build capacities, especially within less developed countries. This requires effective participation from the public and private sectors, as well as development partners. Through a multi-stakeholder partnership approach, FIA has been leading several food safety capacity-building programmes in ASEAN to integrate supply chains and improve government regulations and testing capacity, in line with international standards. 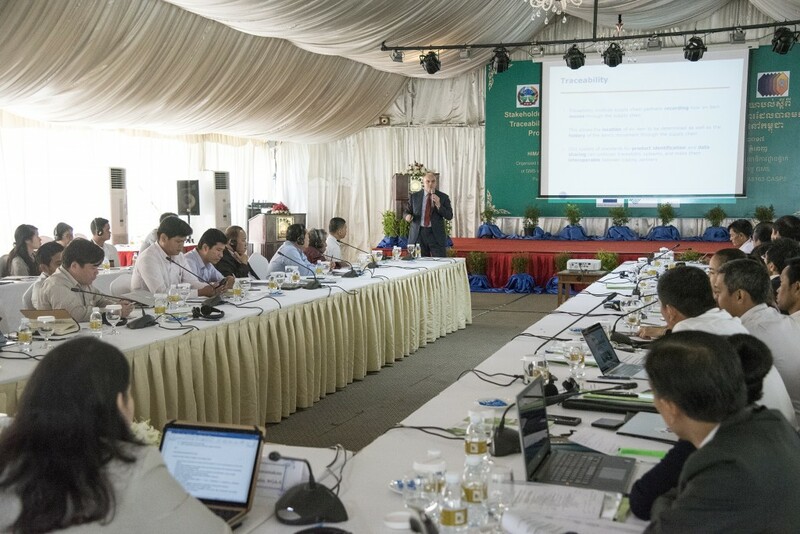 One example is a recent collaboration between FIA and the Asian Development Bank (ADB) to conduct capacity-building training sessions within government laboratories in Cambodia, Laos, Myanmar, Thailand and Vietnam. The goal is to enhance the regulatory framework and analytical techniques in the testing for mycotoxins and aflatoxins in various food commodities, and to facilitate trade of commodities that are important to this region. 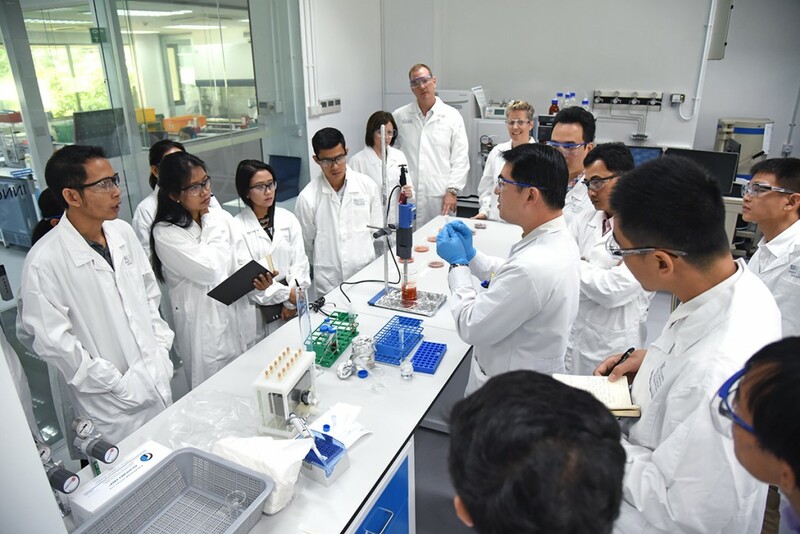 Caption: Greater Mekong Subregion (GMS) food safety scientists learn about Nestlé’s quality assurance testing methods at the Nestlé Quality Assurance Centre (NQAC) in Singapore. The scientists gathered 4-8 December 2017 in Singapore for Phase One of a laboratory capacity-building pilot programme on food safety laboratory testing. Caption: Mr Patrik Jonasson, Director, Public Policy Asia-Pacific, GS1, provides representatives from Cambodian small and medium-sized enterprises (SMEs) with an overview of the importance and requirements of a strong traceability system during the launch of the multi-stakeholder traceability initiative for the Greater Mekong Subregion (GMS) in Phnom Penh, Cambodia, on 13 December 2017. All stakeholders in the food industry play an important role in the journey towards harmonisation. It is imperative that we address challenges together and speak with one voice — we cannot work in silo. Since its establishment, AFBA has been actively engaging the ASEAN Consultative Committee on Standards and Quality (ACCSQ) Prepared Foodstuff Product Working Group (PFPWG) to present and champion industry initiatives for regional integration of regulatory regime and technical infrastructure. ASEAN’s growing market means that the quest for economic progress will remain a common aspiration for member states. A harmonised regulatory framework through GRP adoption, capacity-building and a partnership model can lead to improved trade and, in turn, enormous opportunities for the food industry in Asia. With industry members as the drivers, and policymakers and regulators as the enablers, the harmonisation of food standards can be effectively achieved.